You know a story is good when it makes it to the fifth installment. A story needs to be captivating, with intriguing characters and compelling action. Readers will find all of that and more in Joseph D’Antoni’s Captive Threat. This book is an addition to his ever-popular Wade Hanna series. It’s easy to see why these books have been able to sustain themselves for so long. The life that Wade leads is not typical at all. This includes his romances. Here we find a story steeped in action with heart-pounding risks and careful planning. Those who enjoy a great action-packed crime/military intelligence novel will definitely be entertained by what occurs within these pages. Where will Wade end up this time? Will he finally get to move forward in his relationship with Megan? Or will this task finally end up being too much for him? While this is an installment in a series, it is not wholly necessary to read the previous four books. Yes, they will provide important backstory, but D’Antoni writes in such a way that a reader will not be lost. Even the complicated aspects of Wade and Megan’s relationship is not lost in this book. It is difficult to write in such a way that you can captivate newcomers without leaving them confused. A master of his craft, it is clear that D’Antoni knows what he’s doing. At first, the book doesn’t even feel like it’s about Wade at all, but about Megan. About what she is going through after her return to American soil. She has suffered an ordeal and D’Antoni takes the required time to have her move through these complicated feelings and post-traumatic experiences. This is how you capture readers. The character development is very well planned and carefully laid out. When you have existing characters that have been carrying on for books upon books it’s easy to swap out romantic partners or close friends in favour of an exciting new character. 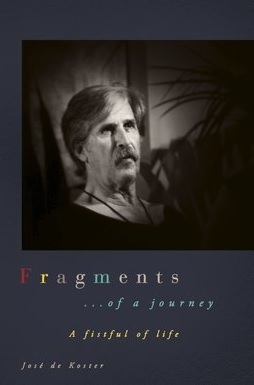 It is clear that our author has spent the time energy required to foster and develop the relationships from existing installments. This is something not many serial authors can accomplish. Coupled with character development are the action scenes as Wade and company foray into their battlefields. Nothing feels out of place or too over the top. There is a pleasant balance between story development and a good old-fashioned fight. 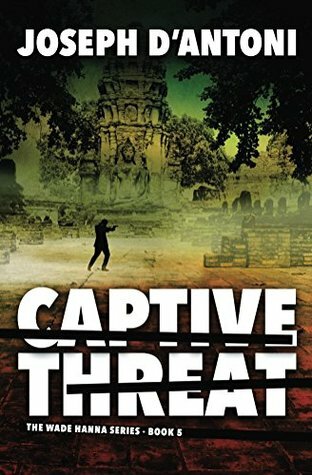 If you are looking for a book that is exciting to read while giving you those complicated portrayals of human emotion then you have found what you are looking for in Captive Threat. It’s an excellent example of a crime/military novel married to dramatic elements done right. For the series to have gone on for as many installments as it has, it is clear that something is being done right here. There is even the potential for another installment into the Wade Hanna series based solely off how our adventure ends. Your heart will race for more than one reason as you devour the words in this tale. But still we are left wondering, where will Wade end up now? Posted on August 9, 2017, in Book Reviews, Five Stars and tagged action, adventure, amazon, amazon books, amazon ebook, author, battlefield, book, book review, books, captive threat, crime, crime book, crime fiction, crime thriller, ebook, ebooks, emotion, espionage, fantasy, fantasy book review, fiction, fighting, goodreads, intelligence, international, joseph dantoni, kindle, kindle book, kindle ebook, literature, military, military fiction, military thriller, mystery, novel, post traumatic, publishing, reading, relationship, reviews, romance, stories, thriller, urban fantasy, wade hanna, women, writing. Bookmark the permalink. Leave a comment.